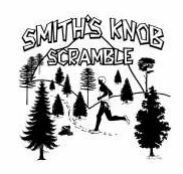 Smith’s Knob Scramble is an 8 mile trail race that follows the Loyalsock trail over the steep Smith’s Knob. Awards will be given in 10 year age groups up to 60+. Race shirts to all pre-registered… limited quantities on race day! Due to limited parking, there is maximum number of participants set at 150 runners. Carpooling is encouraged for this race. Camp Conley is located 15 miles North of Montoursville, PA.
From Exit 21 of Rt. 180 at Montoursville (Wal-Mart exit) follow Rt. 87 North 9.2 miles, turn right onto Little Bear Creek Road. Pay close attention, the turn comes right around a blind turn and is easy to miss, continue 5 miles to Sand Spring Road, turn left continue .5 miles for parking.